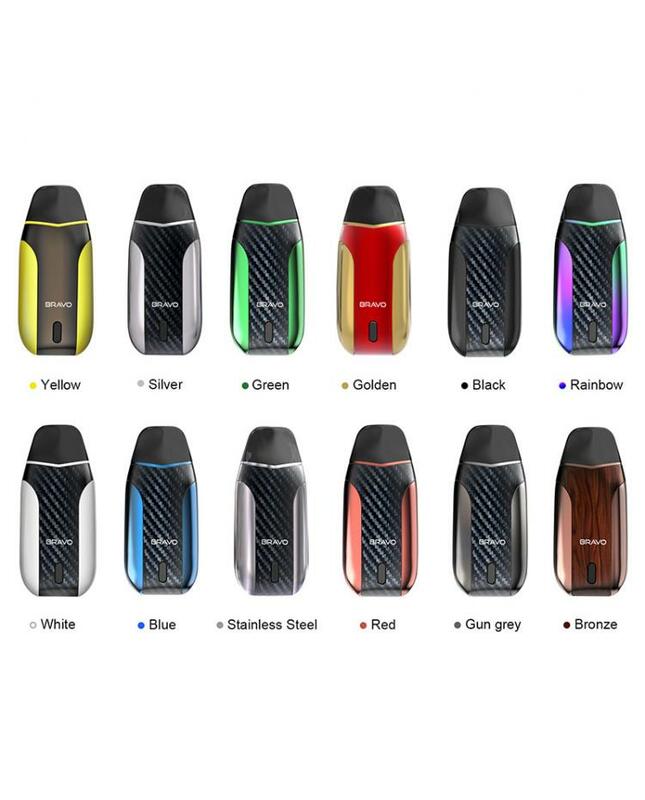 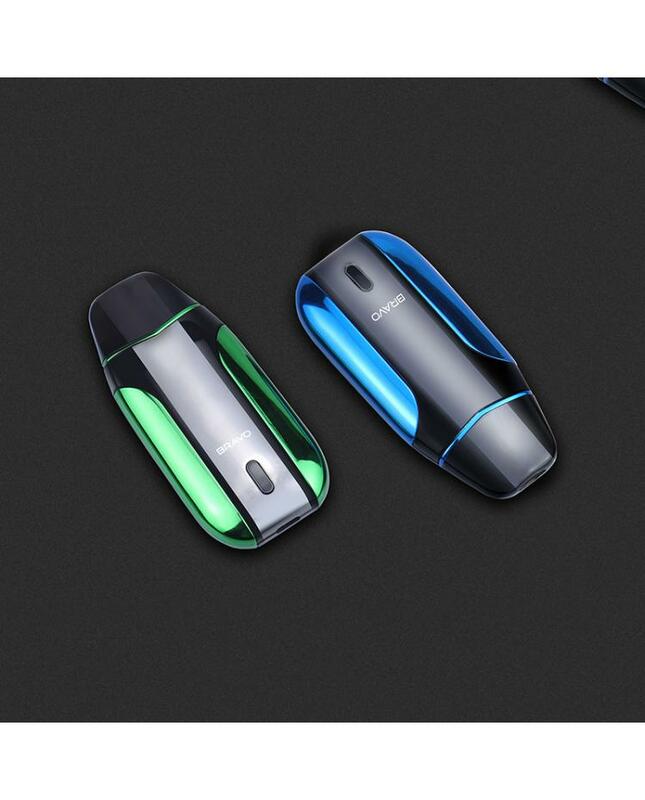 The Starss Bravo Portable Pod System, with the ultra slim size and portable design, 12 fashionable colors available. 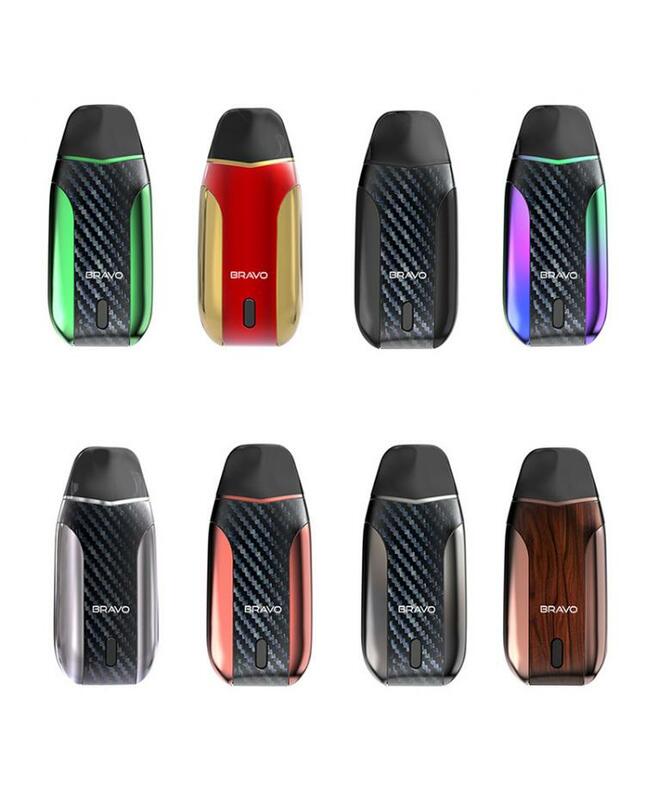 the Starss Pod System built-in 1000mah battery and can charge via the micro USB port, max output 15watts, three working wattages switchable by the button on the bottom. 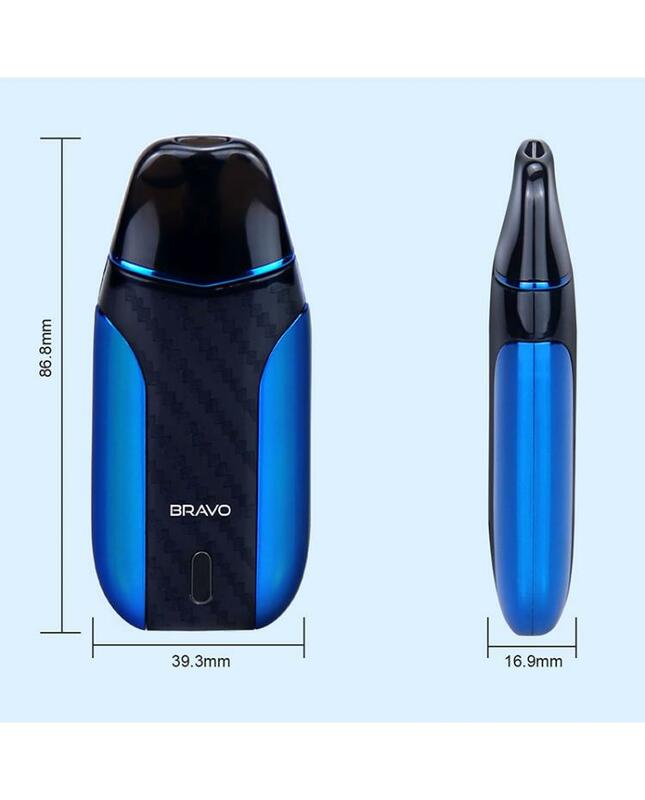 press the button 3 times within 2 seconds to choose the output, the LED light will show you the output wattage. 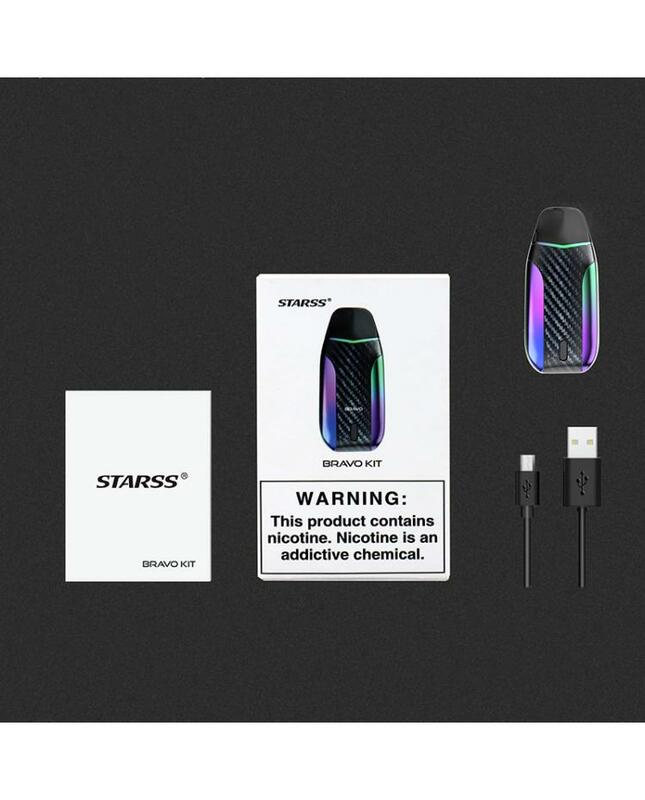 the Starss Starter Kit utilizes the air-driven system for button-free and draw-activated firing, easy to use. 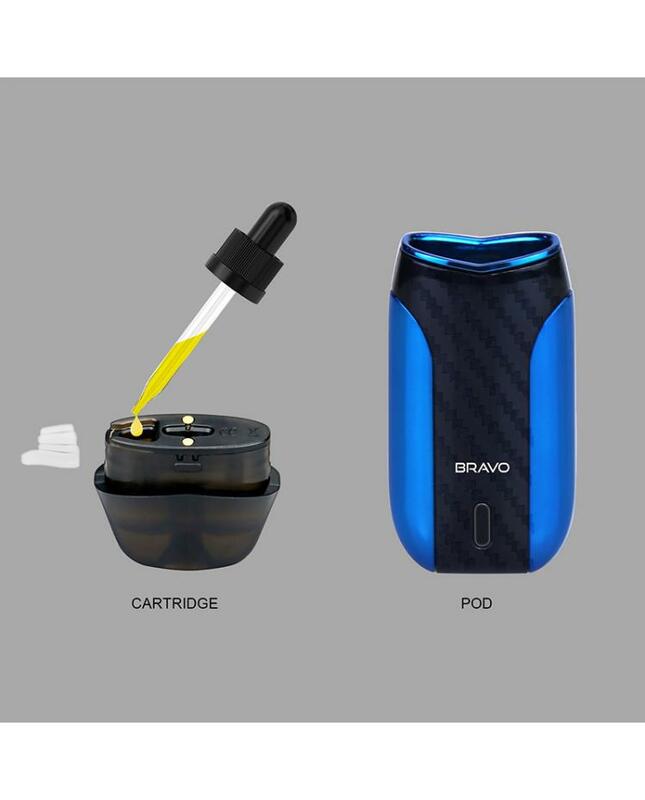 the replacement pod can hold 2ml e-juice, the bottom of the pod with the flip to open silicone stopper for easy refill, no leaking worry, the 1.4ohm ceramic coil and 0.8ohm mesh coil available, the mesh coil for the regular e-juice and the 1.4ohm ceramic coil for the nicotine e-juice, will deliver the large cloud of vapor and intense flavor.